Jeff Norris is engaged in all facets of intellectual property matters. Leading to his career in intellectual property law, Jeff received his Bachelor of Science degree in Electrical Engineering from Purdue University. Jeff participated in Purdue University's competitive cooperative education program in which he worked for General Electric Aircraft Engines in Cincinnati. While at GE, he worked for various engine test facility engineering groups, and he tackled key engineering projects such as the design of engine temperature monitoring systems, a hail ingestion engine testing system, and an oil management system. His appreciation of the design of innovative engineering solutions drove Jeff to pursue his Juris Doctor at the University of Dayton School of Law, which is near where he grew up. At the University of Dayton School of Law, Jeff participated in the intellectual property program, and he received top honors in civil trial practice and appellate writing. Jeff was also recognized for his exceptional oral argument skills and was selected to participate in the moot court and national moot court programs. Jeff's trial skills earned him the honor of representing the University of Dayton School of Law in two national moot court competitions. During this time, Jeff was also a law clerk for Honorable Timothy O’Connell at the Montgomery County Common Pleas Court in Dayton. Following the completion of law school, Jeff operated his own practice in Dayton before joining the Standley firm in Dublin in 1997. Jeff is admitted to practice law in Ohio, before the U.S. Patent and Trademark Office, the United States Court of Appeals for the Federal Circuit, and the United States District Court for the Southern District of Ohio. Jeff represents clients throughout the U.S. and abroad. 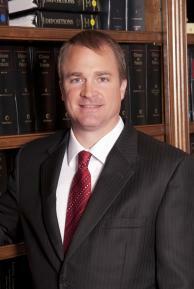 He is experienced in the preparation and prosecution of patent applications involving inventions in a wide variety of technologies including the electrical, mechanical, plastics, radars, motors, generators, power, magnetics, telecommunications, medical, manufacturing, computers, software, business methods, LCDs, semi-conductors, vehicles, tools, and food and beverage arts, among many others. He has obtained patent protection for products that have obtained numerous national awards, and he has helped clients capitalize on the value of their patents, establishing licensing programs and negotiating licensing agreements and assignments. Jeff is also experienced in the registration and licensing of copyrights and trademarks. His practice further includes the resolution of conflicts through the licensing, acquisition, and litigation of intellectual property rights, including the mediation and settlement of infringement claims. He has managed copyright, trademark, and patent litigation, including multi-district patent litigation that many consider to be the largest in history. Away from the office, Jeff enjoys spending time with his family in Columbus, and he plays golf, basketball, and softball throughout the seasons. Jeff is also active in his community, having served as a volunteer for his children’s school and as President of his homeowners' association and President of the trustees for his church.